Happy Super Bowl sports fans, anyone feeling thirsty yet? 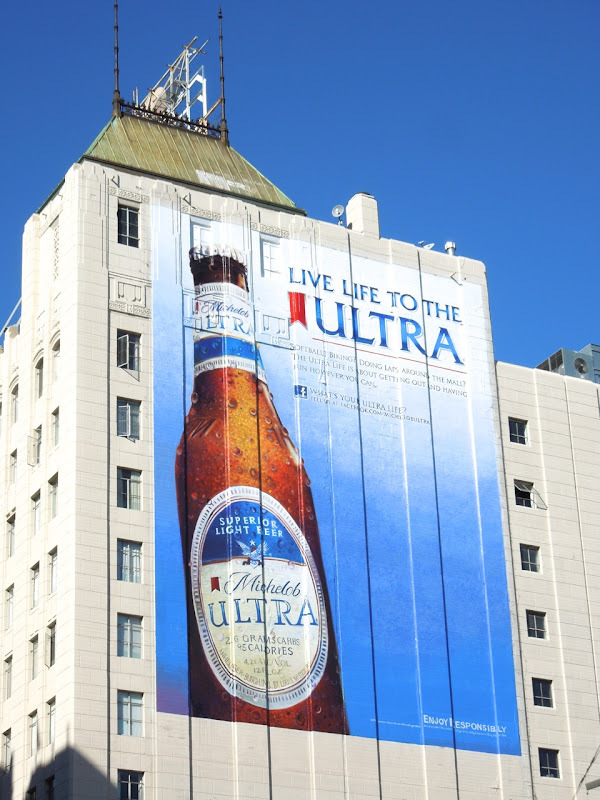 If there was ever a day to live life to the ultra it's today, so grab a tasty Michelob Ultra beer or two (or more) and enjoy the game. 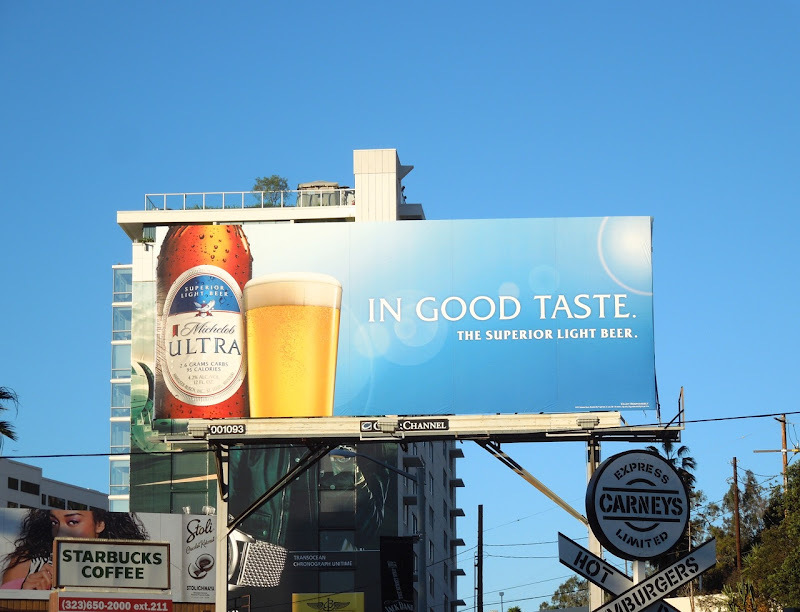 And as it's a light beer that means you can eat even more chips and dips, snacks and burgers, right? 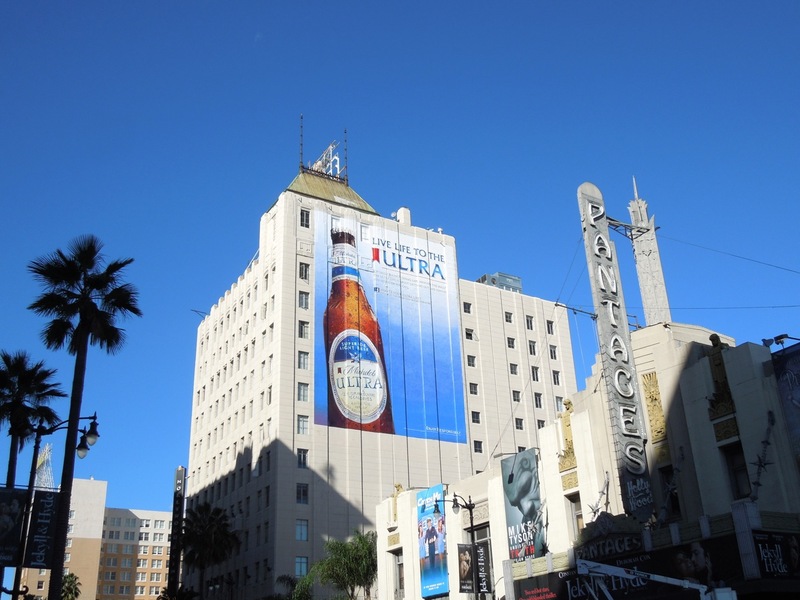 This giant-sized wall mural was spied along Hollywood Boulevard towering over the Pantages Theatre on January 28, whilst the standard landscape creative which is in such 'good taste' was snapped along Sunset Boulevard on January 7, 2013. 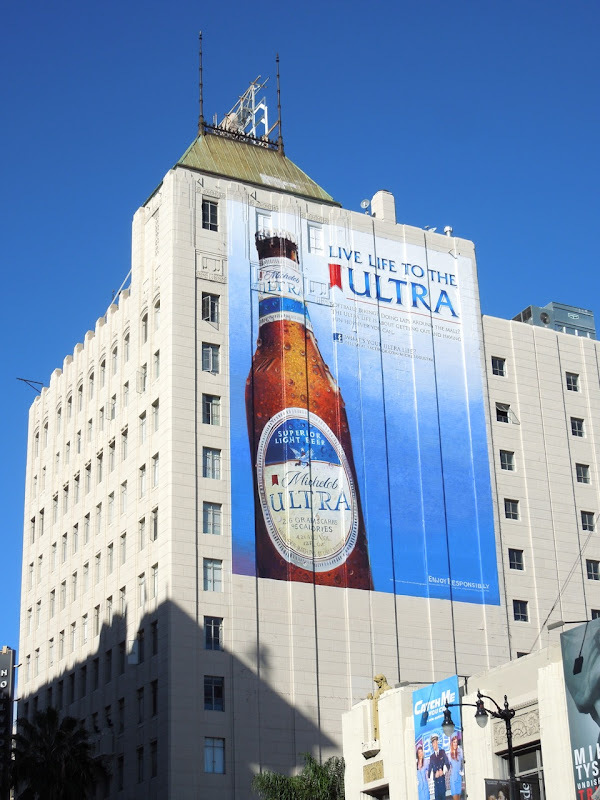 These certainly are simple creatives, which rely heavily on the beer bottle as hero, but they are still eye-catching. 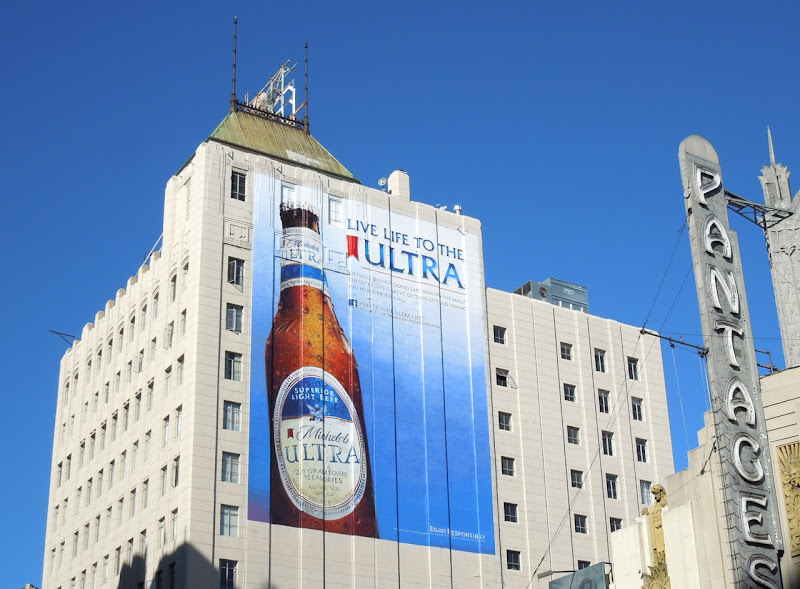 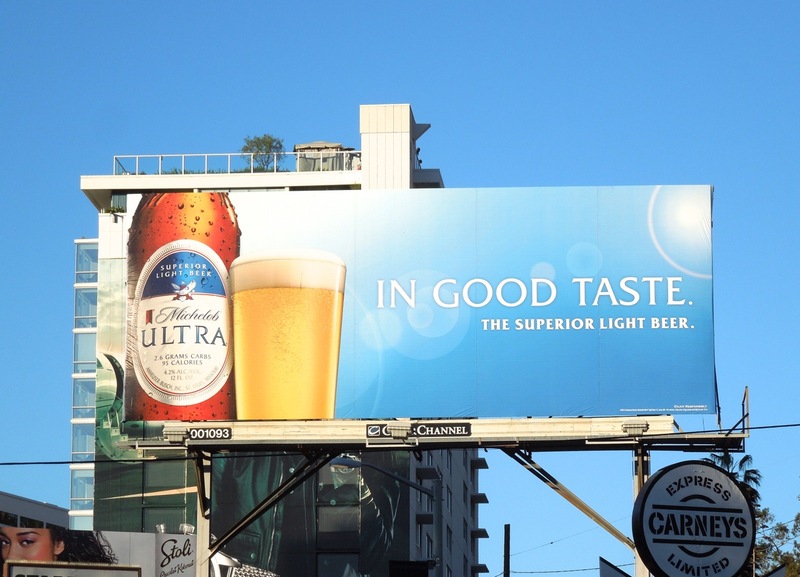 Be sure to check these other beer brand billboards to see how the competition advertise their products.